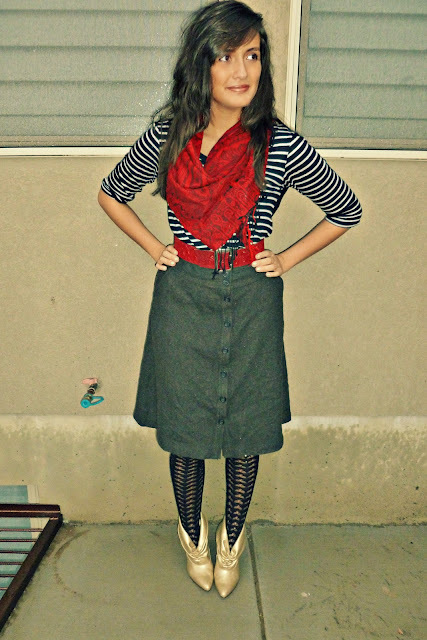 Here's a little peak of what I wore Thursday. It's just something I threw together before running some errands and hanging out with my sister. I haven't been the best blogger the last couple of days. I've been spending time with family, finishing off my two weeks at my current job, and moving into our new place. I don't know if any of our friends who helped us move read my blog, except my parents, hi mom and dad! However, I want to thank everyone that took the time to come out and help us move. Awww, how cute are you?! Congrats on the move and all that jazz. Hope your weekend is going swell! I love your outfit!!! So chic. That scarf is gorg! Lovely scarf and skirt!!! You look really great! can i have your wardrobe?! seriously, you always look great. as is YOUR HAIR. so pretty. Hope you're enjoying your new place! 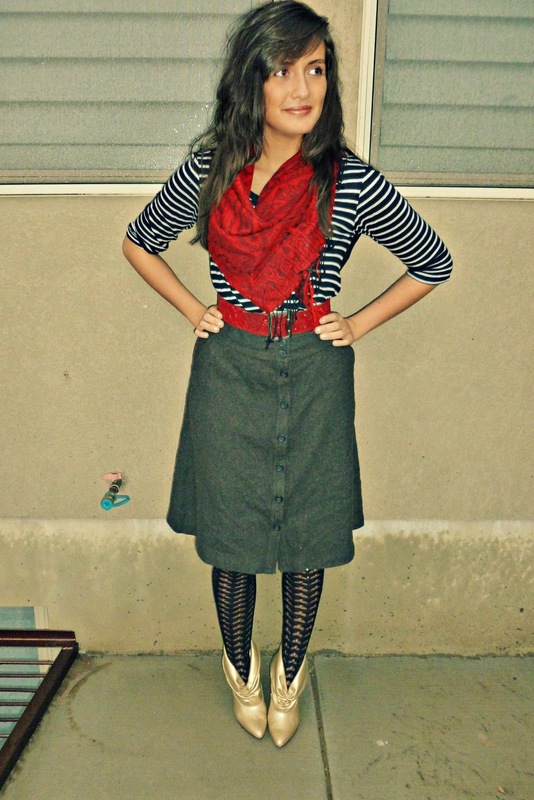 I love the pop of red and your tights! 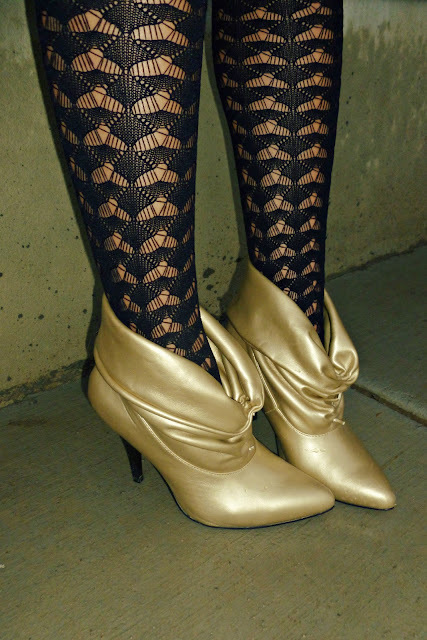 I love your sassy metallic boots! Super cute, and it adds edge to your outfit for sure! Thank you so much for stopping by and following, I am following you via Blog Lovin and GFC now! Can't wait to see new posts girl! 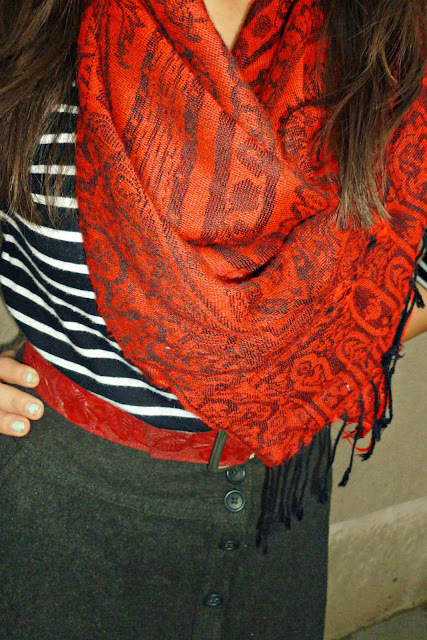 Love that scarf and the pops of color! i like your hair, shepskie! oh and i keep looking at that picture of your shoes. This outfit really caught my eye. Pretty dang awesome. 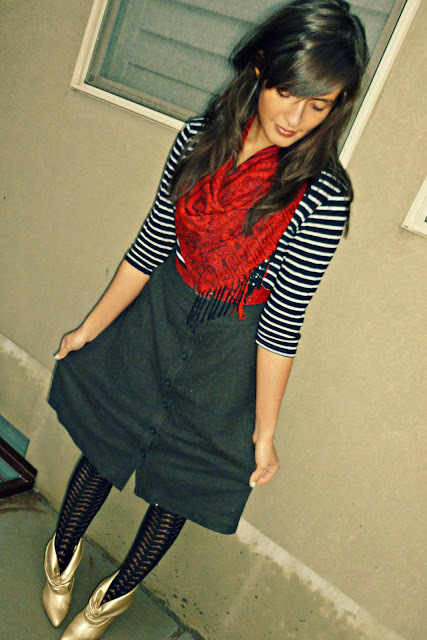 I think I may have thrifted that same skirt too, haha. 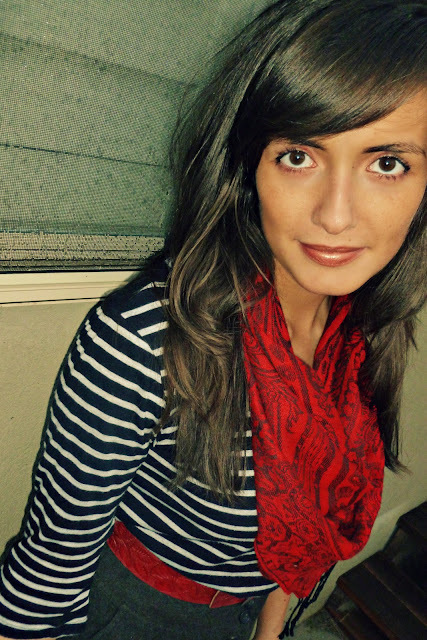 And these photos are making me miss my long hair a little. Anyway! Thanks for the follow It really means a lot.